I was introduced to TaazaTaaza a few days back. While browsing their website, I felt that they’re doing things differently. It’s just not an another e-commerce marketplace. TaazaTaaza is a platform through which producer connects directly with consumers and vice versa. It’s a concept, especially designed for the buyers to feel the ultimate buying experience while shopping for their favourite products online. I’ve explored their food segment and got thoroughly impressed by their wide range of organic products and regional delicacies. There are many regional specialities which you cannot find online easily. But now with TaazaTaaza Kolkata’s Nolen Gur er Jalbhora Sandesh to Agra’s Pann Petha are just a few clicks away. They’re having five categories in their food segment. Below are a few facts what I’ve found interesting about these categories. Do you like Hyderabad’s famous Osmania Cookies? You can buy them right from here. If you love baking cakes just like me, then you’re at the right place. Go, click on Dehradun under this section to find out all the exotic, fresh, naturally sun dried, preservative free dry fruits. I was so excited and happy to discover Natural Dried Candied Pineapple there, which I’m going to order very soon. They’re having popular sweets and savouries from more than 12 Indian states under this category. This section has varieties of Pickles. Some pickles appear so unique like Prawn Pickle, Sardine Pickle, Alovera Pickle to name a few. I liked the packaging of Molly’s preserves, pickles and Peanut Butter, can’t wait to try them out. You can find popular Kandi Podi from Telengana to Karnataka’s different Chutney powders all under this category. 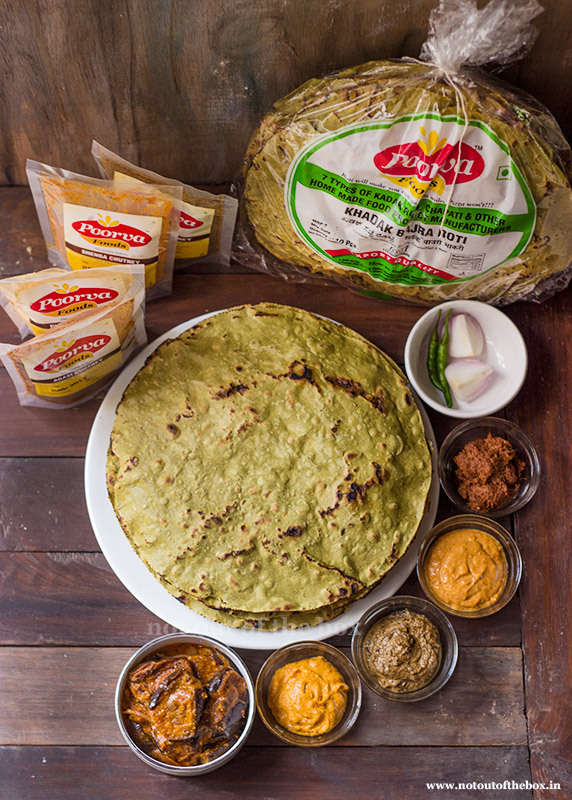 This section has popular Kadak Rotis too, made with Jowar, Bajra and Ragi. A Karnataka delicacy, these nutritious rotis have a longer shelf life and an excellent food option for gluten intolerant people. This section has all the varieties from Kids flavoured Milkshakes to Health Drinks etc. You can find different types of tea and Appa’s Coffee here, try this if you love Coorg Coffee. I always prefer Sugarcane Vinegar (Sirka) for my father, because he is a diabetic and this Vinegar helps him to maintain his blood sugar level. I’ve heard Nature Land’s Sugarcane Vinegar is quite good and TaazaTaaza has the same in this category. All kinds of pulses and different combinations of multi-grain flours, this section is well stocked with some rare finds like Sprouted Flour, Anti-diabetic Flour to name a few. Ready to eat nutritious cereals like Jowar flakes, Millet flakes, Ragi millet flakes are great options for breakfast. I usually eat cereals in the morning. And I keep swapping between, corn flakes, muesli and oats. I was looking for some alternate breakfast cereals for quite long, and finally happy to see them here. Have you ever heard about Turmeric Vinegar? This vinegar is anti-inflammatory, anti-viral and anti-bacterial, it’s helpful for all types of Arthritis, Rheumatism and Gout pains. Like many other organic varieties, this category has some good quality cold pressed oils too. In today’s fast paced life it really helps us if we can find ready to use cooking mixes like, Multigrain Thalipeeth Ready Mix Powder, Desi Biryani Mix, Foxtail Millet Idli Mix Powder, etc., which are organic, healthy and low in preservative. This section of TaazaTaaza is full with those kinds of ready to cook and eat stuff. Try their oil free Roasted Multi Grains Mix, Puffed Wheat for anytime munching. 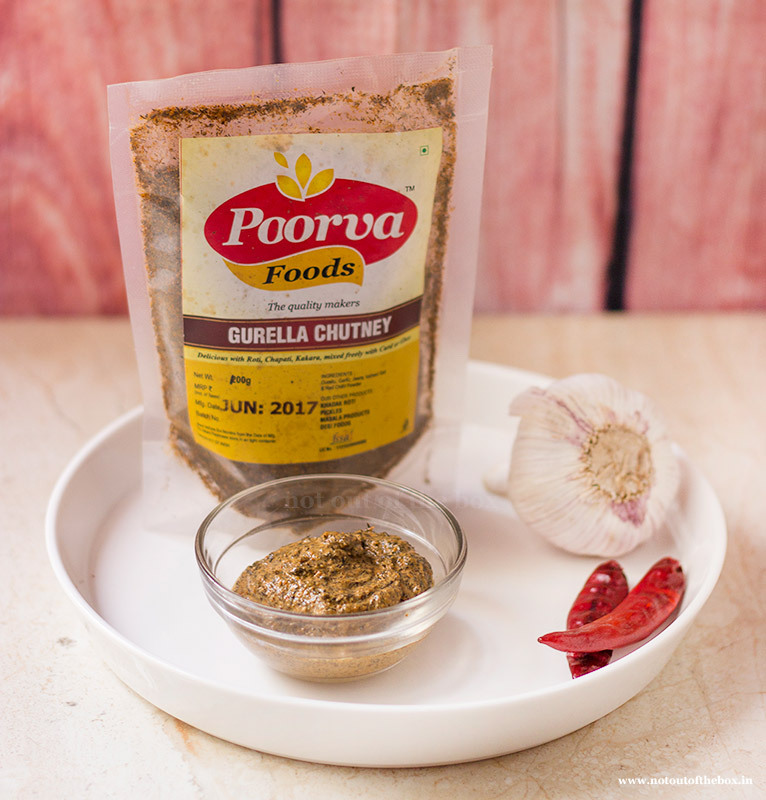 The main ingredient in this chutney is Niger seeds called as Gurellu in Kannada, so, the name is Gurella Chutney. This chutney has a strong heat from chillies and made with Gurrellu, Garlic, Jaggery powder, Salt and a little oil. I mixed the Chutney powder with some yogurt and it was ready to eat. 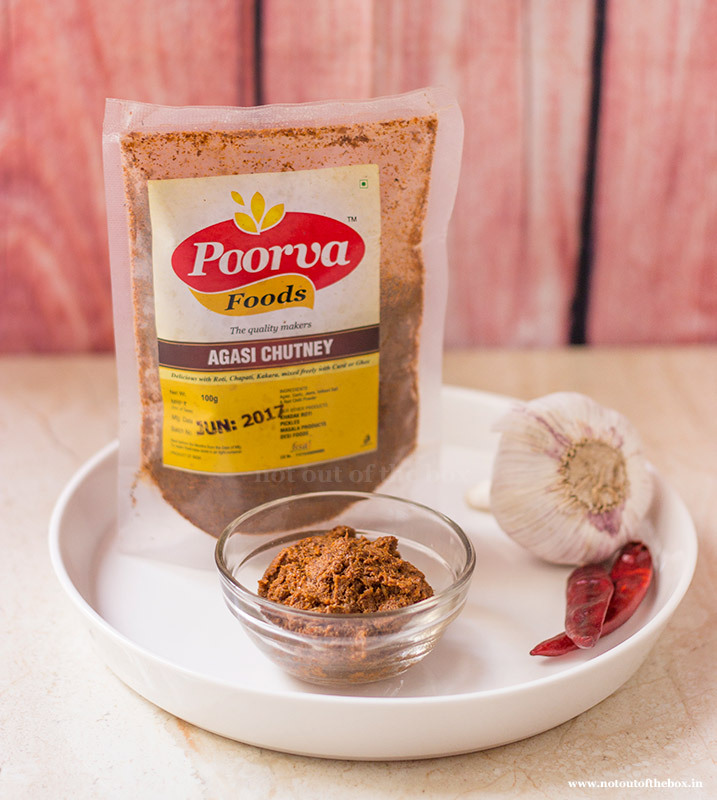 Made with Peanuts, Tamarind, Garlic and Red chillies mainly, this is a coarse chutney powder. Mix it with yogurt and enjoy with Roti, Idli, Dosa etc. This chutney has little grains from peanuts which make it more delicious. 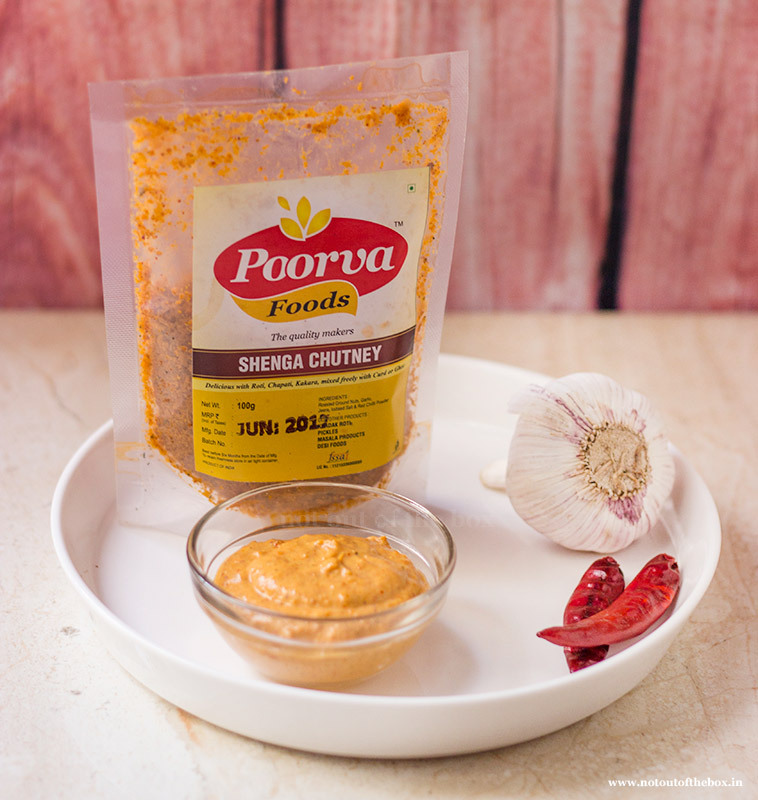 Flax seeds, known for its Omega-3 benefits is the key ingredient of this chutney. Flavourful and healthy this chutney helps to cure Intestine disorders. Mix it with yogurt and enjoy with South Indian breakfast or Rotis. 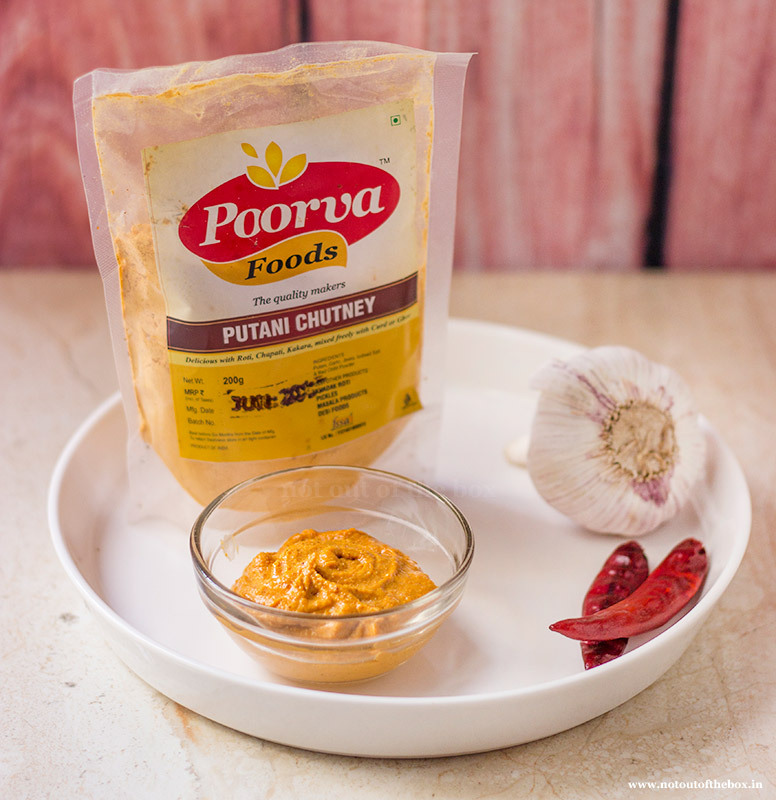 Roasted gram or Putani is the main ingredient in this chutney. Flavoured with garlic and red chillies this chutney has a unique taste. Mix it with yogurt and serve as a side with Roti, Crackers or South Indian breakfasts. I had these chutneys along with some Poorva Foods Khadak Bajra Roti and Kadak Jowar Roti. Each pack comes with 10pcs of sundried, completely preservative free Rotis. 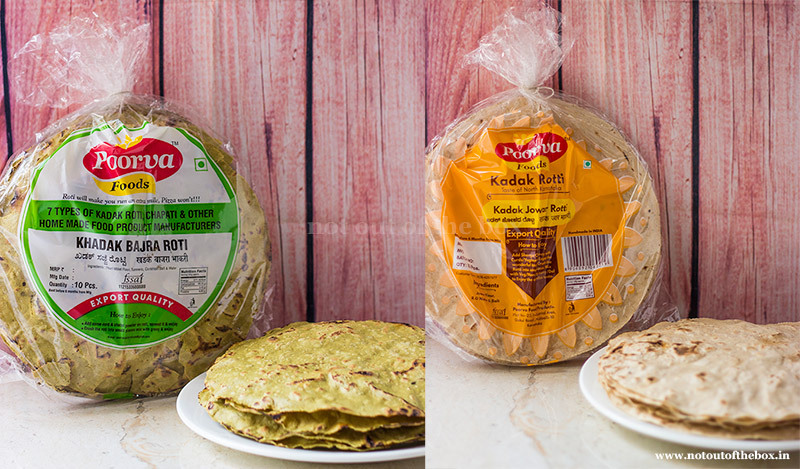 These rotis are highly nutritious with all the goodness from Jowar and Bajra. Made with whole grains, these are just perfect for Gluten intolerant people. These rotis can be stored in airtight containers and can be kept for a few days after opening the pack. So, there is no hurry to finish the pack at one go. Enjoy these rotis with any types of curries or dal. I served them with a Brinjal Masala Curry and we enjoyed the meal thoroughly. Did you know about this authentic Karnataka delicacy? It’s a must try if you’ve not had this yet. Being a Bengali I love sweets in any form. 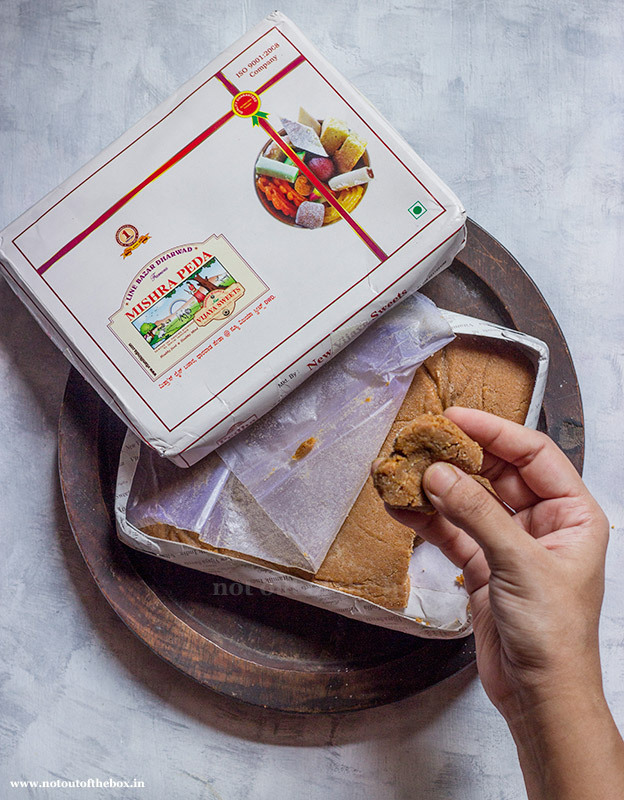 These soft Pedas are one of a kind, and why not, an age old tradition since 1912 goes into making these sweets. The unique technique of thickening milk using a slow cooking method has given a melt in the mouth taste to it. Completely preservative free, it comes in a 500g pack and stays well at room temperature. I’m glad to be preceded to TaazaTaaza’s regional delicacies and organic products, and now it’s added to the list of my favourite online shopping destinations.